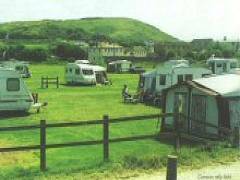 Holiday Parks - Caravan and Camping Sites in West Bay, Bridport & West Dorset. 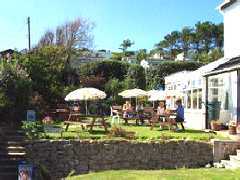 A small select park set in a tranquil valley with stunning panoramic views over the Jurassic coastline. 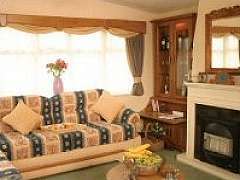 Holiday caravans and apartments are available for hire. Convenient on site shop and launderette to satisfy most daily needs. Pets are welcome. 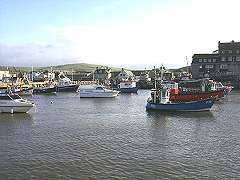 Excellent beach fishing is less than a mile away on the Jurassic Coast at Chesil Beach. Village pub is close by. Situated just 200 yards from the beach, with extensive sea views and easy access to the unspoiled beach. 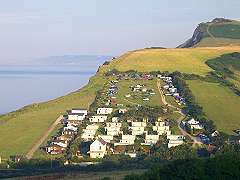 Modern four and six berth caravans overlooking Lyme Bay and separate camping site for small motor caravans or tents. On-site shop to cater for everyday needs, plus a launderette. 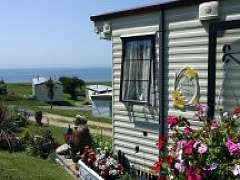 Bounded by the River Brit and the West Bay Road into West Bay, the campgrounds comprise of two large fields a couple of minutes walk from the beach, shops and harbour. Pitches are available for tents, towed caravans and motor homes. Portable toilets, showers, hot and cold water, chemical disposal point and refuse facilities are availabe on site.